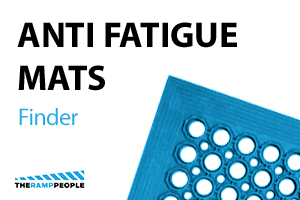 High quality anti-fatigue matting for use in areas where there can be frequent oil spilling. Drainage holes and raised studs provide aeration and allow fluids and debris to fall through, leaving a dry and tidy top surface. Made of a 100% nitrile rubber compound, designed to withstand industrial oils and harsh chemicals. Suited for multi-shift operations.